Prof. George J. Keller, a former college professor turned wild-animal trainer. George Jacob Keller was born in Bloomsburg, Pa. and graduated from the Columbia University Teachers College in 1921. Returning home, he began a nearly 30-year career as a teacher of art to children in town and on campus, as well as to the normal school and college students. He began raising huskies at his home near Turkey Hill, Pa.. In 1932 a friend shipped him a mountain lion and dared him to train it. This experience spurred him on to turn his animal hobby into a profession, and beginning in 1937 he exhibited his growing collection of trained big cats and turned them into an act. Starting with local fairs and picnics he expanded to carnivals and circuses, with his first big break the pier in Atlantic City in 1942. After World War II he took long absences from the teachers college as he spent entire years on the road. 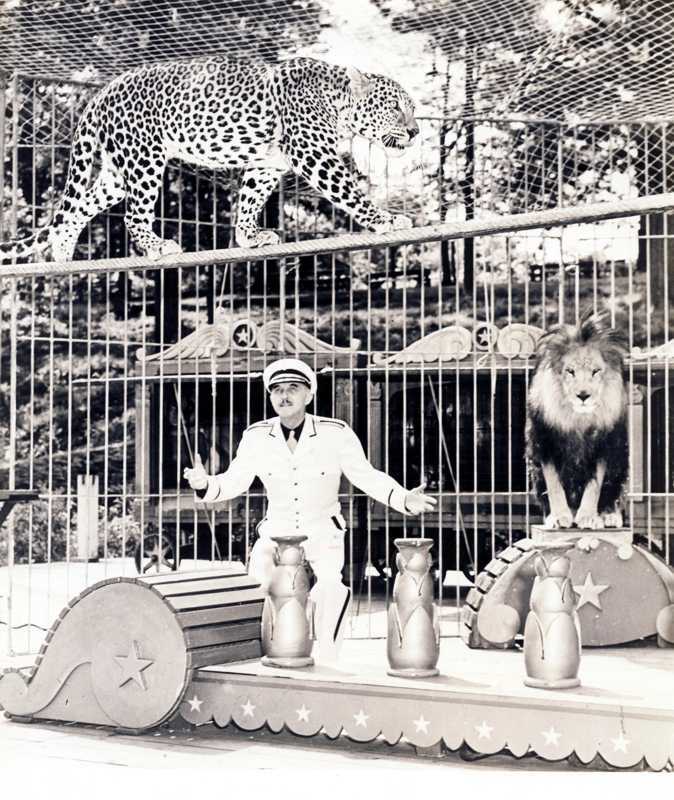 Following his final academic year of 1949-50 he made it his full time work, and in 1955 was one of the first circus acts to be featured at Disneyland. 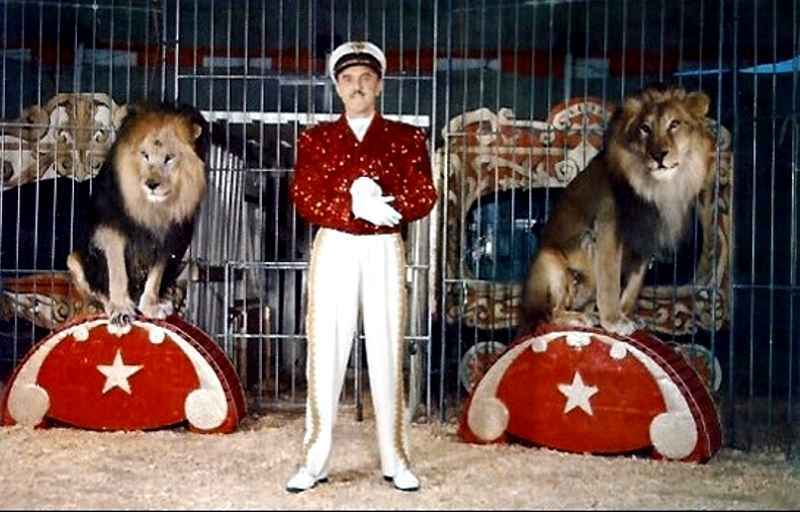 Keller performed with many circuses during his career including Polack Bros., the Orrin Davenport Circus, Tom Packs Circus, Rudy Bros. 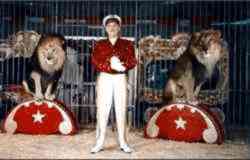 Circus and in 1959 and 1960 he performed in Madison Square Garden with Ringling Brothers and Barnum and Bailey Circus. In October of 1960 George was scheduled to perform at Shrine circuses in 3 Texas cities, Corpus Christi, Houston and Fort Worth. 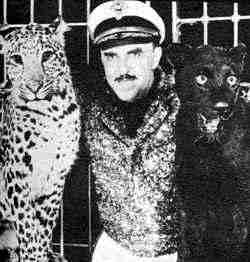 On October 14, 1960 in Corpus Christi, at the evening performance he entered the arena with his cats. During the act Keller was stricken with a massive heart attack and collapsed in the ring. George's assistant Bill Scamihorn rushed in and got the cats out of the arena. The ringmaster called for a doctor, one volunteered but could not save Keller.